Rolled Forged HSS Drill bits in easy access three-tier racked metal case. 25 Twist drill bits in metric sizes from 1mm to 13mm. 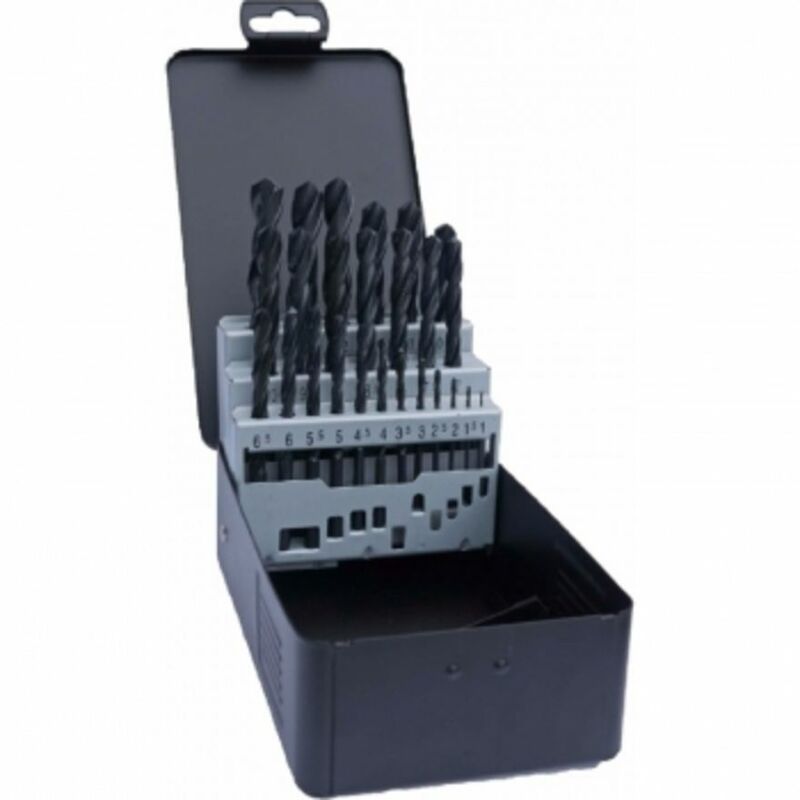 Payment - We can take Debit Card, BACS, Cash, Cheque or Credit Card payment online for HSS Drill Bit Sets. E. & O.E. see T&C - We do try to keep prices and specifi­cations of Drill Sets correct, but mistakes can be made!